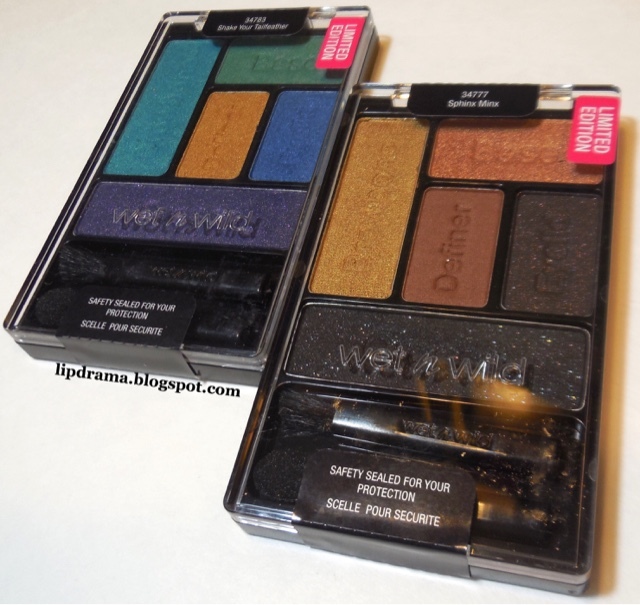 This year's Wet n Wild Halloween collection is once again exclusive to Walgreens and is very limited with two each of every product. So be vigilant people if you want anything from this collection. See the full collection here. 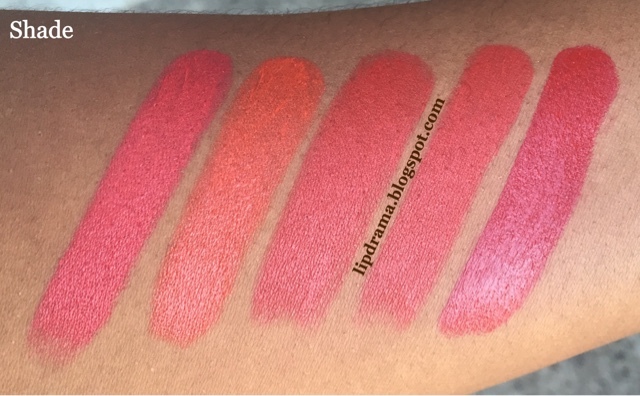 Now I did been mean to have this review up quicker so although I didn't include lip swatches yet I decided to put it up because I know people have been waiting for it. I'll add the lip swatches in the next day or two hopefully. 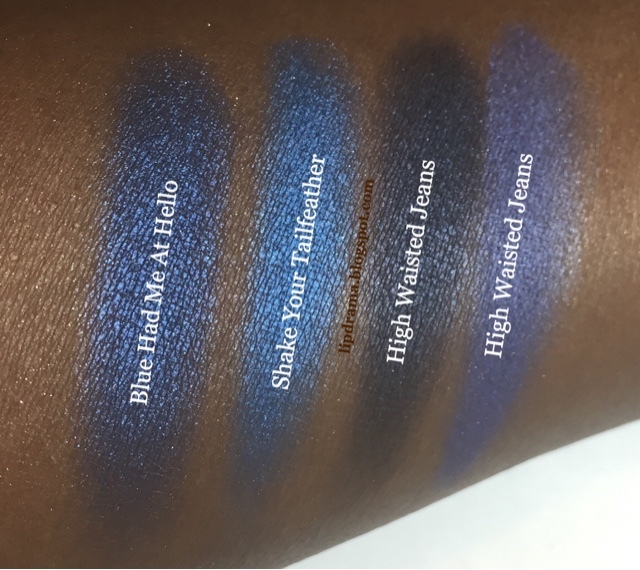 I did do lots of comparison swatches so it's very thorough in that respect. I hope you find it helpful. 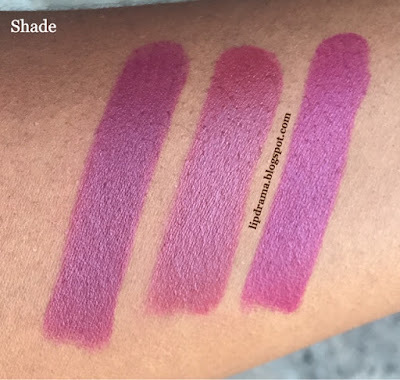 These shades scream Fall to me but they do look similar to permanent shades in the range. 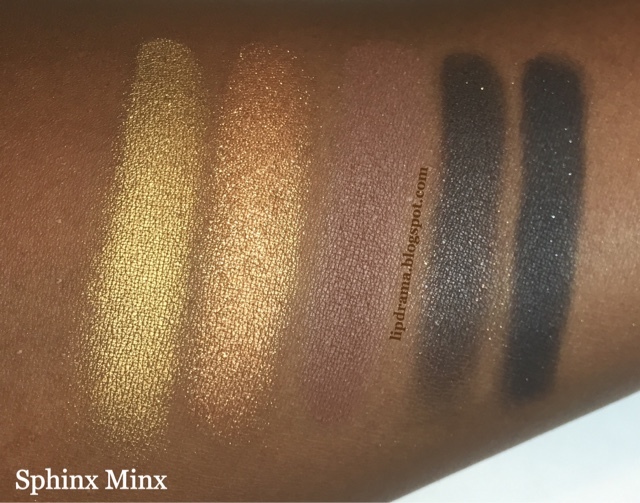 I swatched each shades with all the shades that were similar including some of the limited edition Fall 2015 shades. 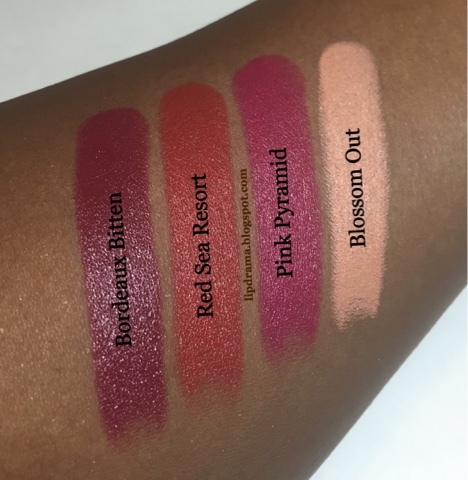 All of my pictures for the lipsticks were taken indoors as well as outdoors in the shade, which will be noted on those photos. 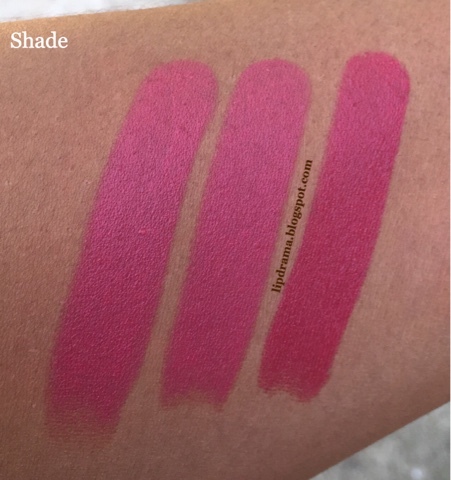 All three shades may look very similar but they're different. Bordeaux Bitten is a pretty dark berry red/wine shade hence the name. 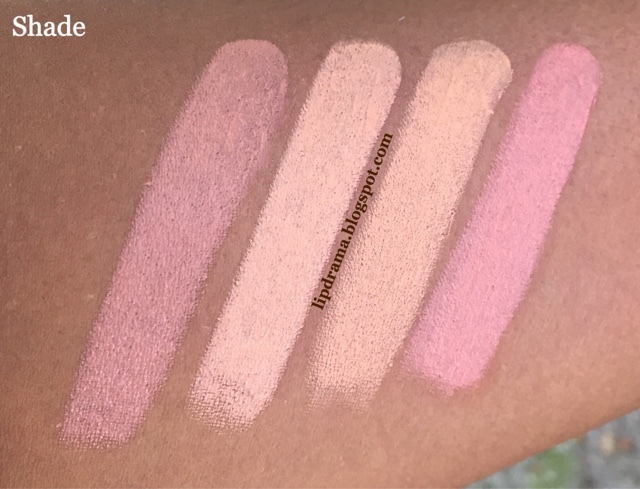 It's not like any of the shades in the permanent range or among the limited editions shades either. 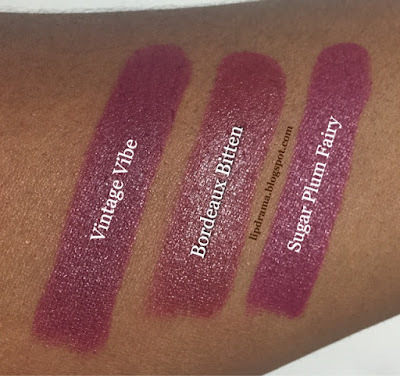 Vintage Vibe (Fall 2015) is the darkest among the bunch and is closer to Sugar Plum Fairy (permanent) but upon closer inspection Sugar Plum Fairy is lighter and more pink. 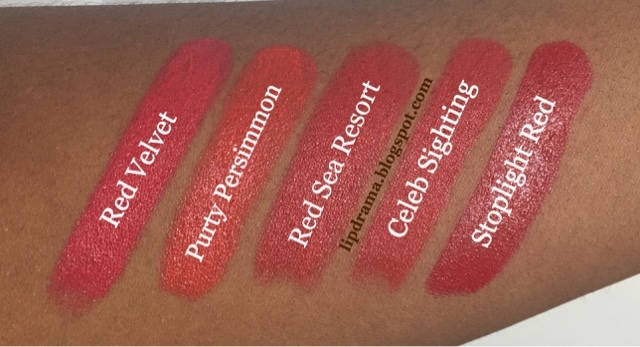 Red Sea Resort is an orange red and actually very similar to Celeb Sighting from the Fall 2015 collection, which I thought was actually unique in comparison to the permanent shades. I think Celeb Sighting is a tad more red but the difference is hard to see and I'm sure on the lips its not noticeable. I don't mind having both but I think one will do fine. 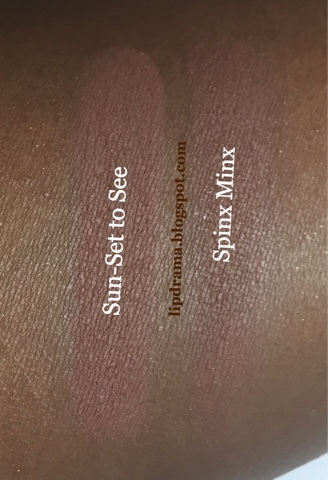 Keep in mind both shades are limited edition. 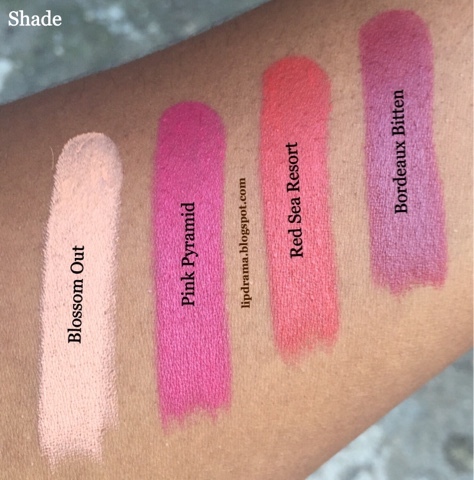 The other shades are not close to red Sea Resort at all. I included both orange and red shades as a reference. 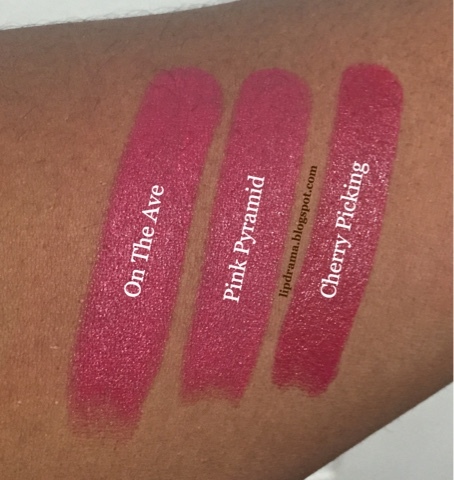 On The Ave (Fall 2015) is a dupe for Pink Pyramid. Unfortunately both are limited edition. They're almost identical and I'm sure on the lips they would be. Cherry Pickings is clearly darker but it is very similar as well. 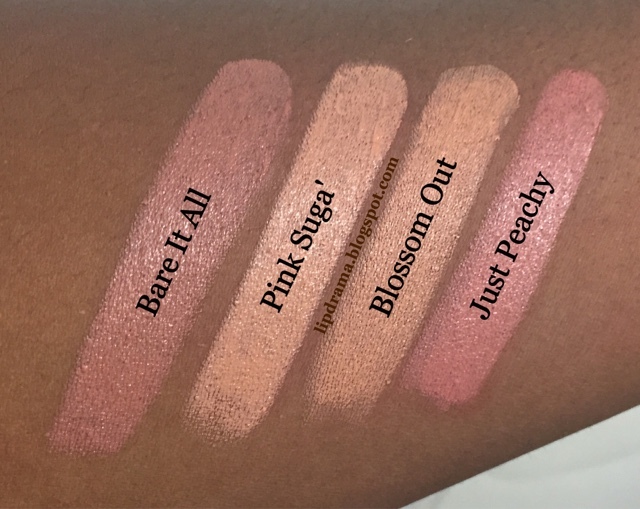 Blossom Out is very similar to Pink Suga' but it leans more tan. 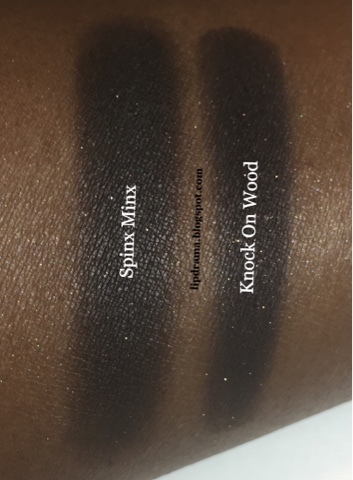 Those with darker skin will definitely need a dark brown lip liner with this one to make it work. 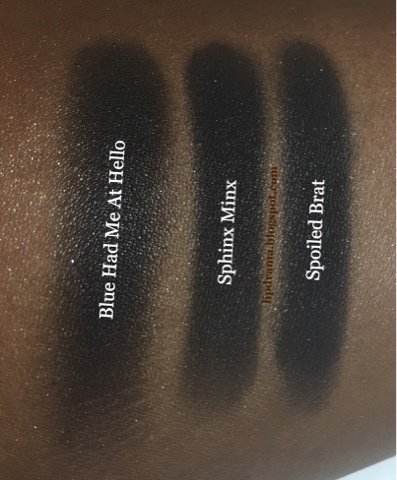 The browbone shade in Sphinx Minx and the eyelid shade in I Got Good Jeans (trio) are the same shade. 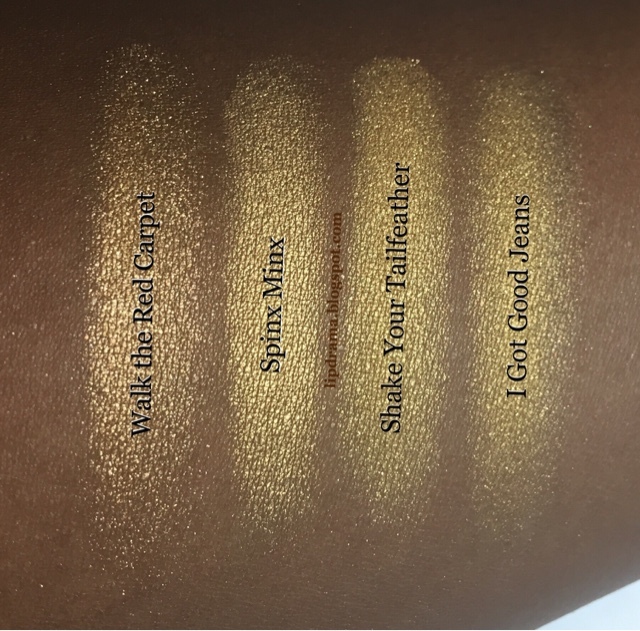 These two are very similar to the definer shade in Shake Your Tailfeather but it's actually a brighter gold. 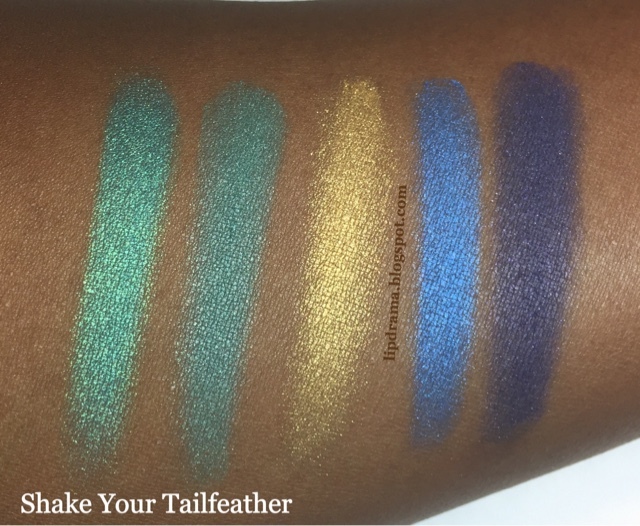 The shimmery eyelid shade in Shake Your Tailfeather had no matches among my Wet n Wild eyeshadow collection. I've only started collection within the last two years but it's safe to say there's no match among their most recent eyeshadows. Although I own palettes and not many of their singles. 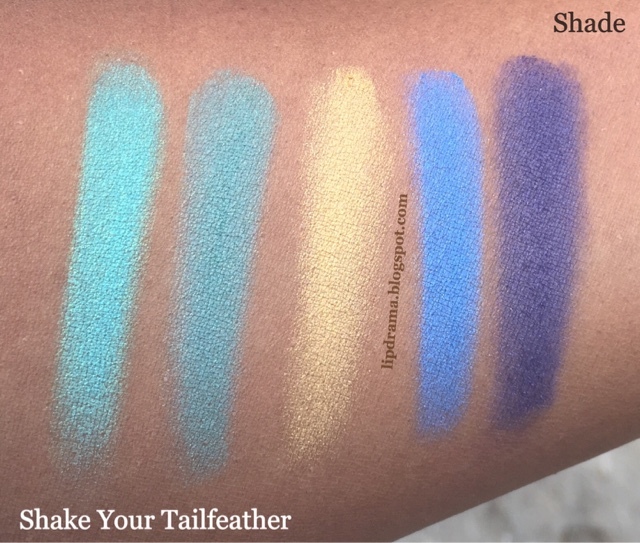 The browbone shade in Shake Your Tailfeather I knew immediately was an exact match for the eyelid shade in Blue Had Me At Hello (discontinued) as it is one of my fave palettes. I even have a backup! These three shades are exactly alike– a matte black with scattered silver glitter. 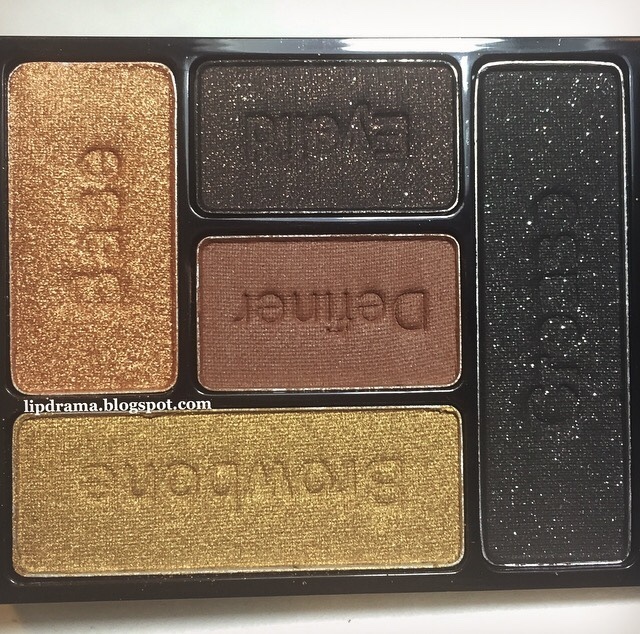 These two dark brown matte shades with bronze glitter are a 98% match. I'm sure on the lid you'd never notice that the Knock On Wood (trio) shade is slightly darker than the other. 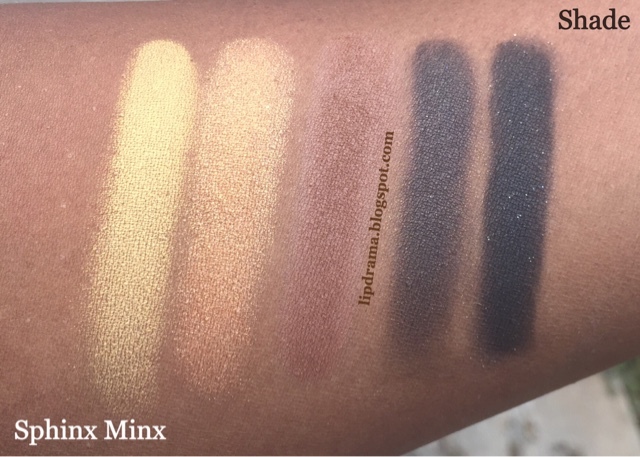 Love at first swatch for the base shade from the Sphinx Minx palette. 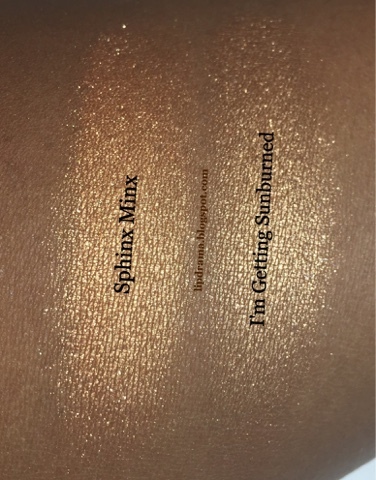 It's so shimmery and pigmented. I thought it was special and such a gem until I watched it with the eyelid shade in I'm Getting Sunburned. 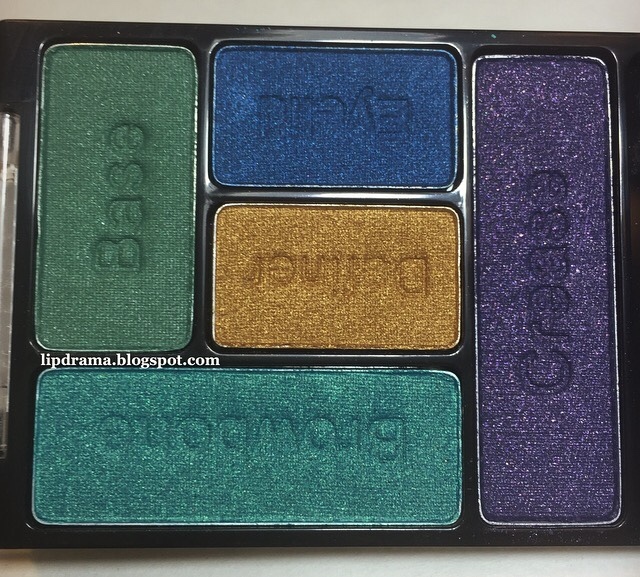 While one is a tad darker it did make me realize I need to use my Wet n Wild eyeshadows more. 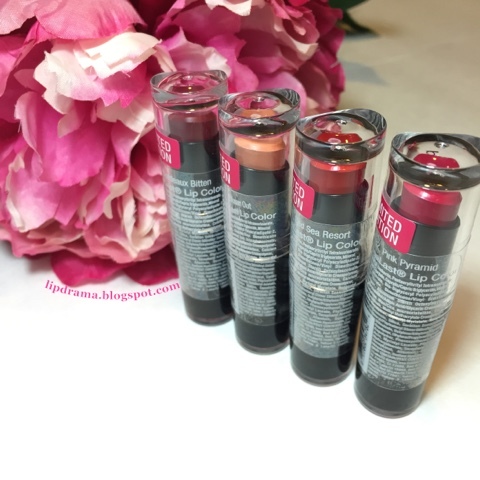 For the price they're great all around, which is why this is my favorite drugstore brand. 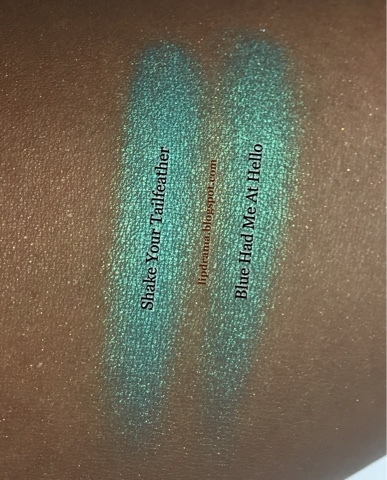 I didn't have a match for the base shade from Shake Your Tailfeather. In the pan it looks like a muted green but it's more of a teal. 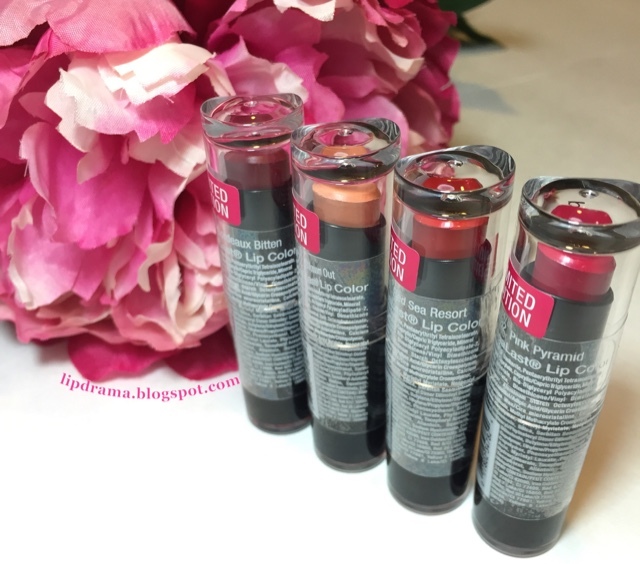 The crease shade from last year's limited edition Who's Carpooling? 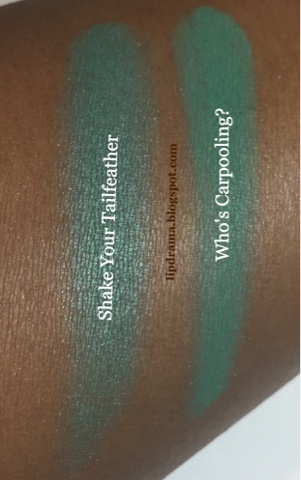 trio was the only shade relatively close but it's more of muted seafoam green. The difference is hard to notice on my skin tone with these two shades but one is a tad darker. But it's so close that the difference wouldn't be discernible on the eyes on any skin tone. P.S: If you're going to share my photos that I worked hard on please credit me (and even tag me on Instagram) but I would prefer you share one or two images and direct people to my blog. I appreciate it as I did spend a lot of time taking the pics and putting all this together for you guys. I'm not some huge blogger so every view counts to me. Thank you. 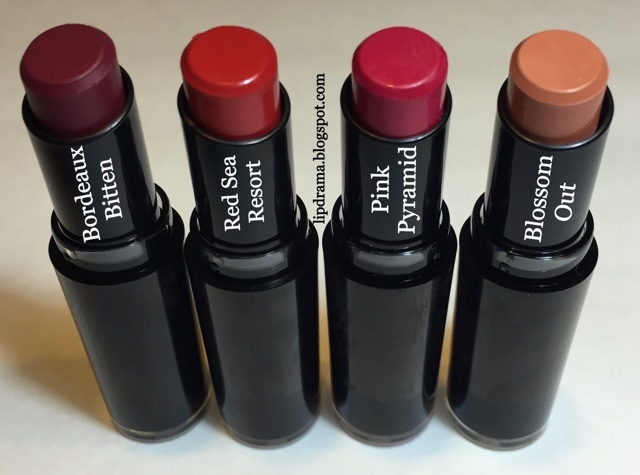 See my review and swatches of the Fall 2015 Mega Last lipsticks here!